We love this time of year. Everything is waking up after a long, cold winter and there’s a definite spring in our step. When the sun shines, it’s hard not to feel inspired and excited about the summer months to come. Earlier this month we drove our horsebox to Thriplow Daffodil Festival. This festival, based in the village of Thriplow in south Cambridgeshire, is now in its 50th year. It’s always one of our favourite events and this year there was a special twist: snow. Luckily our brownies are the perfect pick-me-up and the cold weather didn’t dampen spirits! We’ve always enjoyed baking traditional Simnel cake for our family to enjoy at Easter and we couldn’t resist giving this Easter classic a unique Gourmet Brownie twist. 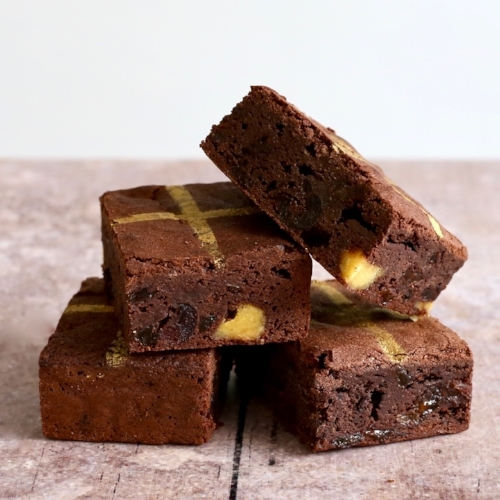 Our new Simnel brownies are studded with spicy fruit and pieces of marzipan. They’re a wonderfully indulgent combination of traditional and modern flavours. Easter wouldn’t be Easter without a few mini eggs and chocolate treats though, would it? 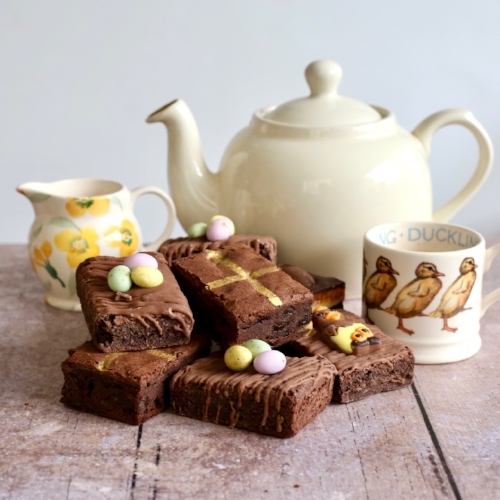 Our crème egg brownies will delight adults and children alike – and our sweet Easter chocolate brownies are the perfect showstopper for a special Easter tea. Recently we challenged some young friends of ours to have a go at making their own version of our famous mini-egg brownies. They had a whale of a time and watch this space for some Gourmet Brownie DIY kits in the not too distant future. 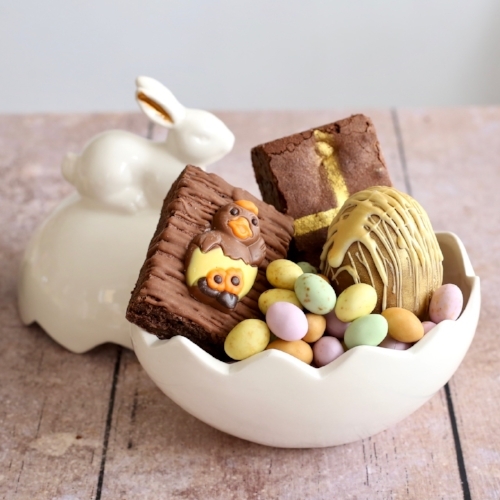 In the meantime, we’d love to hear more about what you’re baking at home this Easter. What else have we got planned for spring? We’re really excited to be working on more and more local catering events and weddings. It’s such a fantastic chance to be creative and we love helping you make your events special and memorable. And talking of creativity, we’re also delighted to tell you that we’ll be special guests at the Ely Food Festival in May. Watch our exciting cookery demonstration and sample some delicious brownies from our stall! We’d like to wish you all a very happy Easter. We’ll be enjoying some down-time with our family and friends – and indulging in a few treats too!